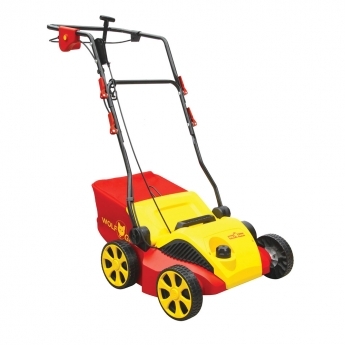 Wolf-Garten offers its customers professional technology in the scarifier range that makes lawn care easy. The lawn is gently but completley freed from lawn thach via the integrated aeration. 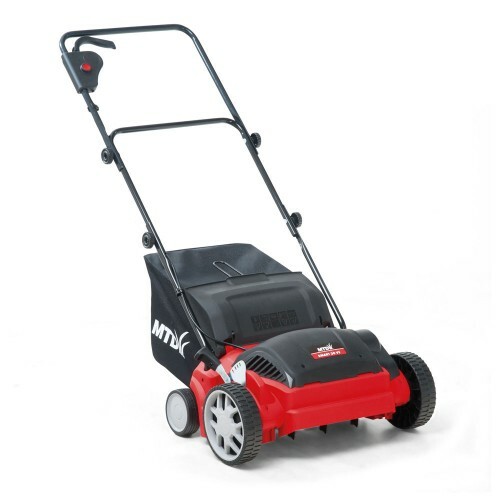 Essentially a powered grass-comb, the MTD O34VE Electric Scarifier will delicately but thoroughly tease-out any accumulation of moss, thatch and weeds from your lawn surface, in turn allowing the turf to breathe and the grass to thrive. 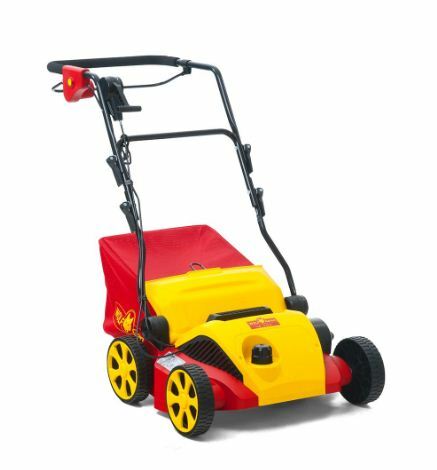 This 1600W 34cm/14” Electric Scarifier allows you to remove organic matter from around grass roots and tidy up any straggly lateral growth. When this layer of thatch and moss is removed, vital nutrients, oxygen and water can penetrate the soil to be absorbed by the grass roots, encouraging lawn re-growth. 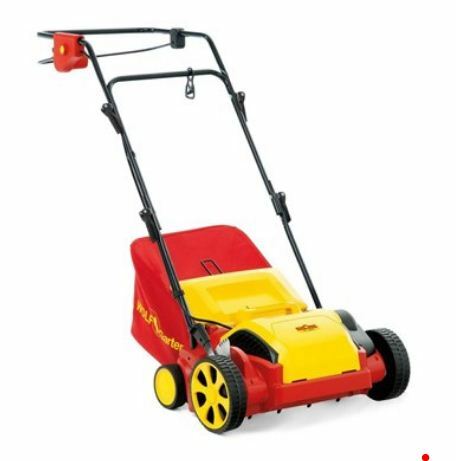 This model is essentially a 2-in-1 scarifier and moss rake. 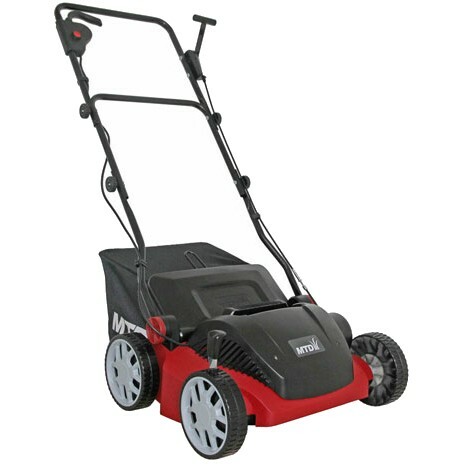 It has 5 adjustable height positions and a 45 litre grass bag. The handle can be folded and adjusted by height, with a soft grip for added comfort during use. 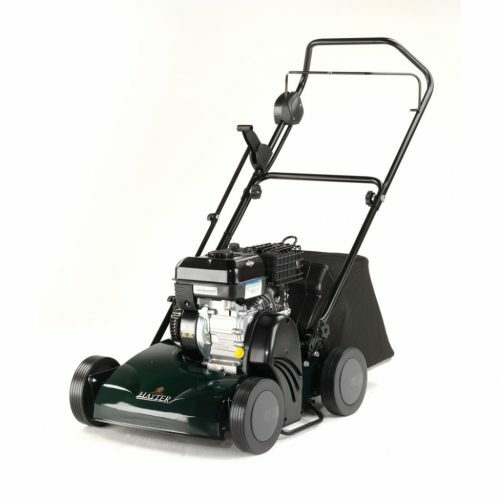 The Hayter SP36 scarifier is the ideal machine to achieve and maintain the perfect lawn. 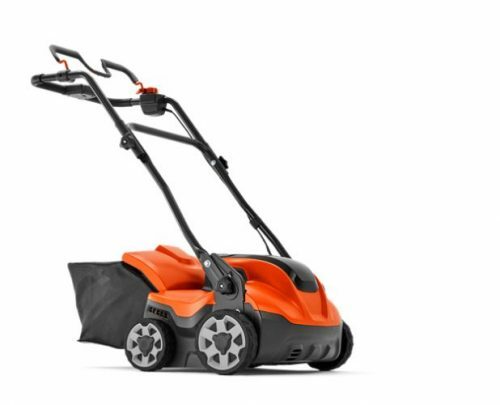 It is equipped with a reliable 155cc Briggs & Stratton™ Series 550 engine with recoil start which powers the 15 fixed-blade cutting system. The cutting depth is set by operating a single, simple and easy to use lever, providing five settings between 1 - 20mm. 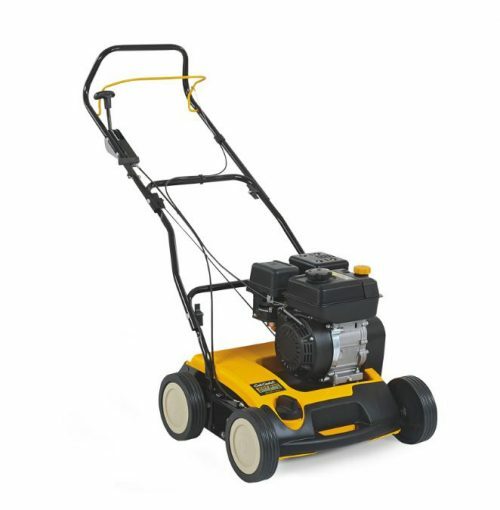 A transport position allows movement over the lawn and paving without damaging the turf or blades. The Hayter SP36 lawn scarifier is push-propelled, features a robust steel deck and has a two piece folding handle for easy transportation and space-saving storage. 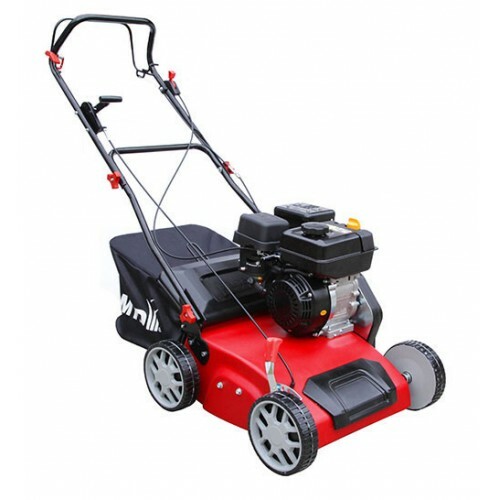 Ideal for medium to large lawns, the SP36 will help maintain a healthy lush lawn.